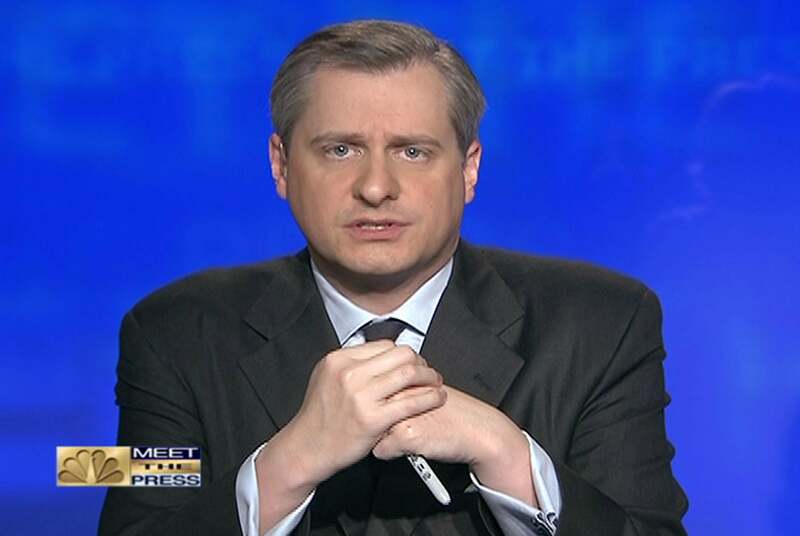 Jon Meacham: Obama's executive action rhetoric bolder than Lincoln's and FDR's. Lincoln and FDR would have never spoken on morning talk shows like Jon Meacham does. It’s early yet, but I don’t think any other smart person will say something as nosebleed-inducingly dumb as Jon Meacham did on Morning Joe. (My colleage Matt Yglesias has the video.) The topic was the State of the Union, and the grumbling that ensued after the president said, a few times, that he was ready to issue executive orders if Congress didn’t act. Meacham, who won a Pulitzer prize for his biography of Andrew Jackson,* mentioned two other presidents who never, ever hesitated to use executive orders. We make fun of the executive orders and that is in fact something that – you know, you never really heard Lincoln and FDR say, I’m going to rebuild America on an executive order. You know, it’s not something that resonates off the tongue. Now, obviously, Lincoln and FDR signed tons of executive orders, and are infamous among libertarians and paleoconservatives for doing so. You’ve never seen Obama sign off on anything comparable to the suspension of habeas corpus or the opening of camps for Japanese-Americans. You’ve actually seen fewer executive orders from Obama, by year, than you saw from the last four presidents. That’s all well-known. So what did Meacham mean? Well, the discussion was about the wisdom of saying outright that if Congress didn’t act, he would. This has, I’ve found, rankled Republicans (who are otherwise so hard to rankle). Meacham was saying that Lincoln and FDR weren’t so brazen as to threaten action if Congress didn’t act. It is to be hoped that the normal balance of executive and legislative authority may be wholly equal, wholly adequate to meet the unprecedented task before us. But it may be that an unprecedented demand and need for undelayed action may call for temporary departure from that normal balance of public procedure. And if you talk to progressives, Obama’s failure to copy FDR when it mattered, in 2009, sapped his momentum. That’s not a suitable topic for a morning talk show. I was at best imprecise and at worst just plain wrong today. I did not say what I meant to say: that great presidential leadership requires not only executive action but public persuasion and legislative action. It’s like the old cold-war triad of land, sea, and air military capabilities. The presidents I’ve written about–Jefferson, Jackson, FDR–used executive power, often boldly and to the great consternation of their critics, to advance their agendas. Sometimes that’s the only way to move forward. But these presidents also understood that the longterm success or failure of democratic leadership often turns on shaping public opinion and passing laws, not only on issuing executive orders. Such orders can be good starters but lasting reform usually comes from sustained public and legislative work. (In Lincoln’s case, for example, the anti-slavery project of the Emancipation Proclamation was followed by the passage of the 13th Amendment. Or, in the case of combating Jim Crow, what Truman in a sense began by desegregating the armed forces ultimately required the Civil- and Voting-Rights acts.) In any event, I should have spoken more clearly and with greater care, and I regret that I did neither.